Greetings, roleplayer! The following is a collection of lore gathered from the community via in-game references, and Twitter, Tumblr, and other sources. If you find any portent information missing or broken links, please message me. For official Mordesh lore (which most of this thread thrives off of), check out the Mordesh Loremageddon page. What is the Everlife Elixir? Use Ctrl+F to search for your subject. Recognizing contributions made to the thread. The Mordesh were once an elegant, blossoming civilization that had been on the verge of joining the Dominion because of their great achievements in alchemy. However, when Victor Lazarin's Everlife Elixir turned into the raving infection known as the Contagion, the Dominion turned on the Mordesh and trapped them on their planet with a quarantine blockade. The survivors sought the aid of the rebel humans and, with their help, successfully smuggled many operatives and civilians out from Grismara. On Nexus they continue to serve as the eyes and ears of the Exiles, unleashing their dark and deadly arts upon the Dominion even as they scour Nexus for a cure to save their remaining brethren on Grismara. Until a century ago, the Mordesh flourished on their home planet of Grismara, developing a sophisticated civilization devoted to the pursuit of knowledge and beauty. By 1578 AE, the imminent announcement of an immortality elixir garnered the Mordesh a prestigious invitation to join the Dominion, but these grand dreams crumbled to ash when the Everlife Elixir instead unleashed a deadly plague known as the Contagion, which turned its victims into mindless savages. If not for the Vitalus Serum created by Victor Lazarin, which enabled many victims to stave off the effects of the disease, the Mordesh would no longer exist as a civilization. Instead of helping the Mordesh combat the plague, the Dominion set up a planet-wide blockade, hoping the Contagion would consume the Mordesh and burn itself out. Desperate, the Mordesh sought the aid of the rebel humans. Avra Darkos, a prominent member of the Mordesh nobility, spearheaded the efforts to broker an agreement with the Exiles. Soon, Mordesh operatives and civilians were smuggled out one by one and hidden within the fleet, where they formed enclaves and dedicated themselves to gathering intelligence for their new allies and developing medicines for the fleet—all while ceaselessly searching for a cure. When news of Nexus was announced, the Mordesh joined the Exile faction formed by the humans hoping a solution could be found on the Eldan planet. 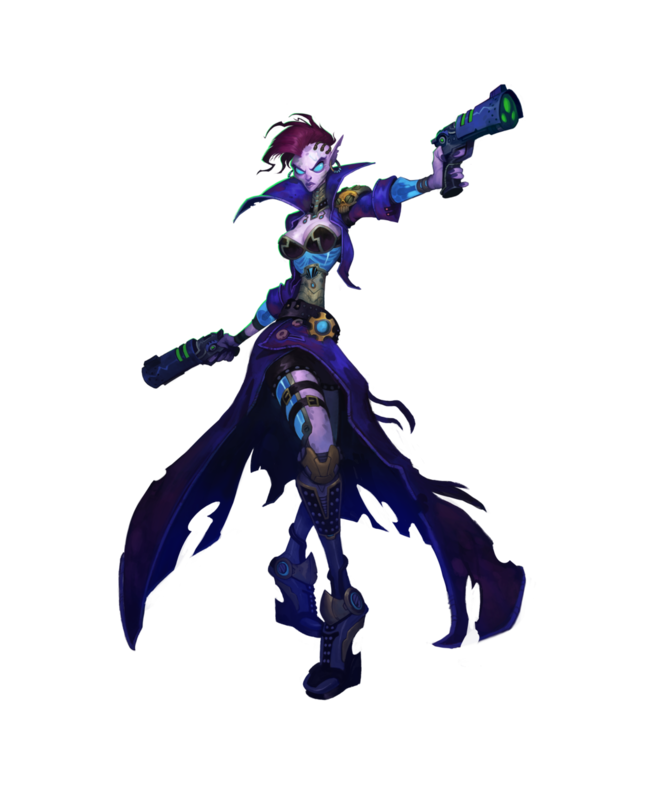 On Nexus, the Mordesh continue to lead their covert intelligence group, known as the Black Hoods, gladly taking up the fight against the Dominion through a campaign of misinformation, sabotage, poison, and assassination—eager to avenge themselves on the empire that turned on them in their hour of need. The Mordesh used to be one of the most technologically advanced and culturally significant civilizations in the galaxy, particularly known for their alchemists who had long since solved the transmutation of lead into gold and moved onto bigger and more ambitious projects. They had rose so high that the Dominion was all too eager to invite them into their ranks, and they only too happy to take the offer. Of their best and brightest was a young scientist named Victor Lazarin. Brilliant and ambitious, Lazarin had made a number of accomplishments in his field, earning him the respect and adoration of his peers. Tragedy befell him when his lovely wife Mina died during childbirth, leaving him with his daughter, Lucy. Depressed and distraught, Lazarin retreated deep into the bowels of his laboratory to create his magnum opus and greatest failure: the Everlife Elixir, an actual potion of eternal life. Initial tests proved astoundingly positive--the moment Victor imbibed his serum, hair and teeth lost regrew, ills disappeared, and his skin returned to a healthy, youthful sheen. So pleased was he that he immediately shared his great discovery with the rest of Grismara, who were only too eager to follow. It took only a few months to learn that not all was as it seemed. The serum worked too well, granting immortality to the diseases of Grismara as well. They mutated and grew, until they finally become the nightmarish horror that is the Contagion, an illness that causes the body and mind of the victim to rot, turning them into mindless cannibals christened the Ravenous. The Dominion quickly abandoned the Mordesh, establishing a planet wide quarantine that turned their home into a prison. Many struggled through the anarchy to beg for help, only to be gunned down in cold blood. Horrified, Victor Lazarin quickly set to a cure for his race. With limited resources, little time, and 80% of Grismara already dead or Ravenous, he had to make do with Vitalus serum, a chemical that temporarily keeps the Contagion at bay and prevents further rotting. After nearly causing the extinction of his own race, and abandoned by the Dominion, Victor Lazarin and others of his race, with the help of Avra Darkos, joined the Exiles and traveled with them to Nexus. Lazarin hopes to find the answer he seeks to save his people and redeem his place among them. The Everlife Elixir is a powerful and potent alchemical concoction created by Victor Lazarin. It is said that the Everlife Elixir was able to instantaneously reverse aging (to a degree) as well as regrow hair and teeth, and rejuvenate skin. The success and effects of the Everlife Elixir amassed a huge following and the denizens of Grismara were eager to accept it. The Contagion is the unstable after-effects of the Everlife Elixir. Not only did the Everlife Elixir grant immortality to the Mordesh, but also to every known disease and infection that plagued them. The Contagion causes the victim's body and mind to rot thus turning Mordesh into mindless cannibals dubbed the Ravenous. 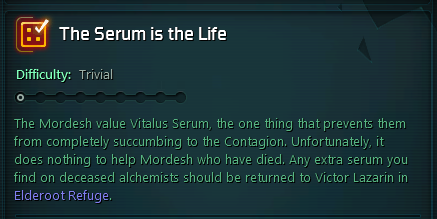 A blue-green substance which can be seen in the translucent artificial portions of a Mordesh body, the Vitalus Serum is a temporary defense that supresses the Contagion's degenerative effects. It was created by Victor Lazarin. It is not a cure, however it merely treats the symptoms. If a Mordesh loses their Vitalus and does not have it replaced within a short period of time, the Contagion may take over, causing them to succumb to the disease. Most Mordesh maintain and replace their Vitalus supplies as part of their daily routine. Vitalus is incredibly rare and very limited. If a Mordesh is slain, their Vitalus will be recycled and reused for the benefits of other Mordesh. 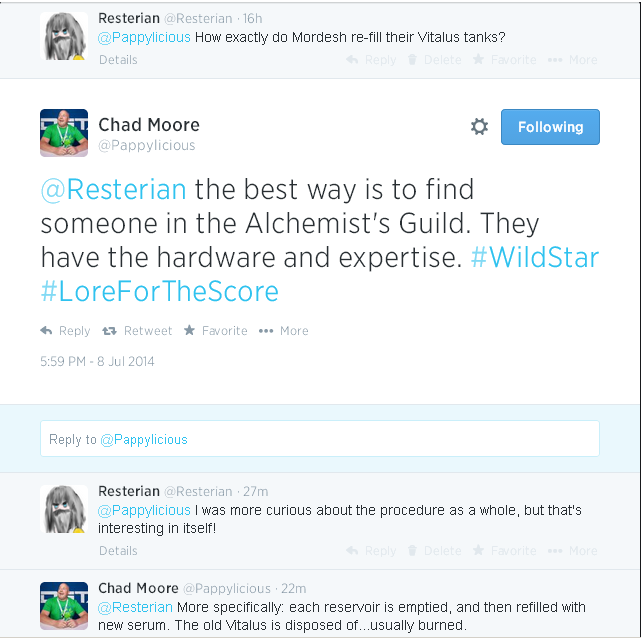 When a Mordesh needs to refill their vitalus reservoirs, it is usually done by another Mordesh in the Alchemist guild. Each portion is drained and later refilled. Old vitalus is then disposed of by burning. Vitalus is also an extra additive to their blood which is slowly released over time. Even before the spread of the Contagion, Mordesh society was secular, embracing scientific rather than spiritual truths. Their recent condition has only made them more skeptical of the belief of a higher power. This is not to say the Mordesh have never been a species to cling to faith—far from it. Many original Mordesh beliefs, rituals, and superstitions have continued to be observed in their society, albeit in different forms. Though largely secular, the Mordesh have been indelibly shaped by the faith of their ancestors. The original Mordesh religion focused on a being simply known as Kemos. According to ancient Mordesh myth, Kemos created the Mordesh people from the primal elements and infused them with life. Adherents of Kemos, in turn, strove to emulate their deity's control of the elements. These priests learned to use the elements, both individually and in concert, in an attempt to overcome the frailties of their species and the limitations of mortality. The primal elements—Pyros, Aquia, Terra, Aether, Vitus, and Logos—served as singular representations of Kemos, similar in many ways to the manner in which the Scions are represented in the Dominion's Vigilant Church. Over time, priests of Kemos came to be known as alchemists, and the priesthood became the Alchemist Society. In fact, the name for alchemy in the Mordesh tongue is kemosiva, or "the secrets of Kemos". Though some of the religious trappings, especially rituals and rotes, remain, the Mordesh have forsaken their ancient religious beliefs and have instead focused on using the elements to overcome their bodily limitations. With the discovery of Nexus and the Eldan, some Mordesh scholars have begun to question the precise origin of the Kemos myth. A few, albeit radical, intellectuals have theorized that Kemos was one of the Eldan, perhaps even one of the Progenitors. Such speculations have been rejected outright by the Alchemist Society, but this has only fostered a number of conspiracy theories within the lunatic fringe of Mordesh society. The Mordesh hail from Grismara, a small world not far from the Dominion homeworld Cassus. In the aftermath of the Contagion, much of the planet is overrun with the mindless, infected hordes, and blockaded by Dominion warships that destroy any and all vessels that attempt to leave Grismara's gravity well. Grismara is a large rocky world with slightly lower gravity than Cassus standard. It has many minor satellites both natural and artificial, with six major terrestrial moons that have long played an important part in Mordesh culture. The name of each moon evolved into the names eventually given to corresponding elemental humours (what the Eldan knew as the primal powers). The moons were especially important in the long-abandoned methods of Mordesh astrology. Though the practice was largely supplanted by the better-known Kemos religion in ancient times, its influence on the Mordescu language remains widespread. To be born under the light of Pirin, for example, was said to indicate a hot temper and an aggressive spirit - and when more than one moon is ascendant, the combinations of these forces were said to change destinies. Today the moons' names can be seen most often in Mordesh poetry, oaths, and colloquialisms as indicators of particular emotional, historical, or cultural significance. The moons of Grismara currently remain behind the Dominion's blockade of the system. What little is known about their current state comes from remote observations carried out by the Royal Collegium scientists stationed with the blockade fleet and what fragmented records escaped with scientists like the Lazarins. Unfortunately for the Mordesh, those living on the habitable moons suffered the same fate as those on Grismara, meaning they are now dead or Ravenous. Its name the inspiration for the elemental humour pyros, or primal fire, Pirin is the only Grismaran moon that produces its own light, though Logoz's semi-translucent crystalline structure often shines brighter in the sky. Pirin's glow is due to naturally occurring, moon-wide volcanism rather than refraction and reflection however. Its surface is uninhabitable for most known life forms, but the Mordesh did establish two permanent, heavily shielded orbiting settlements before Contagion outbreaks hit. These settlements are now off-limits and filled with hungry Ravenous. Pirin is associated with anger, passion, violence, and conflict. Those born under the light of Pirin are said to be the greatest warriors of ancient Grismara. Aquazar's cold, crystal-blue surface inspired the name of aquia, the elemental humour also known as primal water. A frozen water world, the many winter-themed resorts and research facilities that once dotted its surface have been lost to the Ravenous for years. But untouched by the Ravenous or the Contagion, massive cephalopods and bizarre monster-fish occupy the lightless depths of its hidden, subglacial seas. Aquazar is said to grant tranquility and a peaceful nature, but those born under its light (such as Avra Darkos) are also thought to conceal many mysteries. Primal earth - the elemental humour called terra - is associated with this dark, rocky orb which reflects little light from the Grismaran sun. It would be nearly invisible but for canyons and valleys exposing raw metallic ores and minerals deeper in the moon's core. Once it was home to many mining operations, including several leased by offworld concerns like Protostar, but that industry has not been operational since the Long Night. Terov is associated with wealth, stability, and strength. It is also traditionally associated with Mordesh weddings, as the rare minerals once mined there were favorites of brides and grooms alike. Ethrin's name is related to aether, the elemental humour synonymous with primal air. It is one of two moons with an atmosphere, but not one that can support typical organic life. Its silvery-white cloud cover makes it nearly as reflective as the surface of Aquazar (while still not as bright as Logoz), but it conceals tumultuous winds, massive lightning storms, and atmospheric pressure that would crush even a Granok within minutes. Pre-Contagion, it was a popular vacation destination for daredevil sporting enthusiasts who liked to surf the upper layers of Ethrin's clouds using heavily shielded saucer-pods. Those born under Ethrin's shining light are said to have mercurial personalities, tempestuous emotions, and a penchant for risk-taking. Poets often claim that when a Mordesh born under Ethrin falls in love with one born under Pirin's radiance, the union creates new stars in the sky. The tragedy of Vitrova haunts many Mordesh who escaped the Contagion. Tied closely to the elemental humour vitus (or primal life) Vitrova was a lush, green terrestrial world that possessed its own rich ecology largely isolated from Grismara. When the Contagion struck, however, the Mordesh who lived there studying its fascinating ecosystem or harvesting its abundant natural resources fared no better than their kin on the planet below. Today, most large fauna have long since been devoured by the Ravenous, who are rarer here than they are on the surface of Grismara. The sparseness of their population combined with the still-dense jungles and woodlands covering Vitrova makes the hungry undead an even more unpredictable threat. To be born under the light of Vitara is to be youthful, healthy, and vibrant. Many great healers were born under this moon. The moon Logoz lends its name to the elemental humour logos (i.e., primal logic). It is a unique body in the Grismaran system - and, indeed, in most of known space - as all scans indicate it is entirely crystalline in nature. The massive, fractal mineral structures which make up the moon's surface were once used by ancient Mordesh astrologers to calculate the trajectory of other moons and develop precise horoscopic predictions. Visiting the moon itself can be quite dangerous to organic life and technology since the dust that lightly covers Logoz is made of the same crystalline elements as the rest of the surface. Even though this dust gives the thin atmosphere a sparkling, magical quality it can and will clog breathing tubes, cause friction tears in the strongest spacesuits, and grind the delicate inner workings of ship engines to a halt. Logoz is, not surprisingly, associated with mathematics, logical thinking, scientific analysis, and cold reason. It is also thought to grant an inquisitive mind and uncanny intuition to those born under its light. Both Victor and Lucy Lazarin were born under Logoz. Due to the increasing size of this post, use Ctrl+F to find particular subjects such as "children", "Contagion", "names", "aesthetic", and so on. This post as been reformatted for cataloging and accessibility. If you have a question not answered here, please ask in the thread. Even before the spread of the Contagion, Mordesh society was secular, embracing scientific rather than spiritual truths. Their recent condition has only made them more skeptical of the belief of a higher power. The original Mordesh religion focused on a being simply known as Kemos. 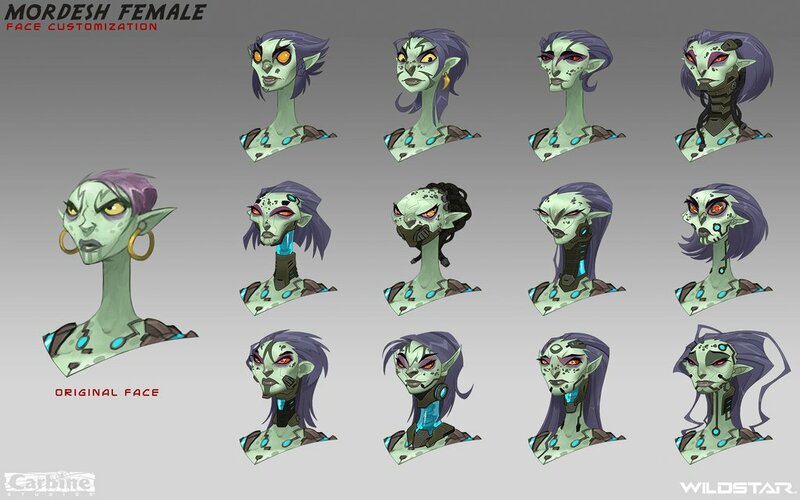 According to ancient Mordesh myth, Kemos created the Mordesh people from the primal elements and infused them with life. Mordesh communities are known as enclaves. Enclaves are generally makeshift settlements located within or on the outskirts of larger Exile communities. Each enclave is led by a speaker—an influential individual who speaks for the enclave. These enclaves may be home to alchemists who continue the Mordesh's most important work, reapers charged with mercy-killing infected Mordesh, and Black Hoods—agents who run Exile intelligence operations. "What was the social class structure like on Grismara? I imagine it to be a lot like Victorian-era England, with a large divide between the 'haves' and the 'have-nots'. Is that accurate?" Somewhat Victorian, in class structure, certainly, but this was largely cultural rather than economic. There was not a great deal of poverty or terrible working conditions. The hardest labor (as on many worlds) was handled by bots, so even the relatively poorest Mordesh would find the opportunity to follow their dreams, provided they had the ability to reach them. "Back when Mordesh believed in Kemos, what did they believe happened to people after death?" The Mordesh had a conception of a morally neutral afterlife which was still finite - the idea was the living energy of the body was gradually drawn back into life itself, soon to be shared in a sort of life remix by the next generation. Not resurrection, exactly. More like getting reduced to the component parts of a soul. "What were Mordesh funerals like pre-contagion?" "Mordesh funerals always involve burning the remains of the deceased on a community pyre which often sits on the periphery of the enclave. A speaker resides over the funeral, saying a few words about the deceased before throwing a torch on the pyre." "In the Mordesh Loremageddon, there's mention of "Pledging", a Mordesh marriage involving mask rituals. Could we have more informations about that ceremony?" "What was the Mordesh aesthetic pre-Contagion?" Until a few decades ago, the Mordesh lived within a blossoming, baroque society on Grismara. Mordesh culture valued knowledge and beauty above all else, a fact reflected in their art, architecture and scientific pursuits. Although not extremely advanced, their technology was well-built and elegantly designed, characterized by steam-driven engines and pneumatic machines. Massive zeppeloids floated in the skies above rural towns and villages, while powerful transmotives carried people and products on a rail network that linked their sprawling enclaves. Scientists and philosophers engaged in spirited debates in public places, espousing both magical and technological theories to support their views. Mordesh architecture and aesthetics in the pre-Contagion age landed somewhere between Victorian England and the castle of that mad king in Germany or Austria, but with an overlay of what you might call alchemical steampunk. Their understanding of primal powers (what they called “humours”) involved lots of brass, pneumatic tubing, weird bubbling vials and casks filled with multicolored flued, lightning, and the occasional donated corpse. These days they’ve kept the alchemical steampunk – because that’s the stuff that’s keeping them all in a state of something resembling life – but for the most part haven’t built any permanent structures evoking the old days. It’s pretty painful for the Mordesh to be reminded of those times, so they tend to simply use structures built by others, such as pre-fab laboratories or even a simple wooden house. That said, rumor has it some brave Mordesh architects are behind a Grismaran Nouveau design and architecture movement that could see them gingerly returning to some of those old aesthetics as time passes, blending their best memories of the old with the pragmatism of the new (and, unless someone does something about it, doomed). "What does traditional Mordesh music sound like?" Modern Mordesh music is generally emotional, stylistically diverse, and very popular with students of all species. Pre-Contagion music is largely instrumental or operatic, played on acoustic instruments that filled the vast concert halls and amphitheaters of Grismara with epic stories and sweeping chorales. Once their society collapsed, the surviving Mordesh favored sad, mournful ballads for small audiences. Since arriving on Nexus, many Mordesh have begun to experiment with new electronic and primal musical forms inspired by their new homes such as the Alchemical Romantic movement, Classic Lazarock, and the Resurrection Blues. No. Despite the many jokes and references to “space zombies”, they are not dead themselves. The ultimate effect of the Everlife Elixir was the creation of a highly-infectious communicable disease within subjects. The disease induces an agonizing near-death state in the rest of the subject's body. As a result, the majority of the victim's biological functions are halted or suppressed and higher brain functions rapidly deteriorate. However, due to their complete inability to reproduce, they are considered a dead race. Prior to the effects of the Contagion, the average Mordesh lifespan was in the range of 130 to 140 years. The near-death state of the Contagion's victims causes them to age at a nigh-undetectable rate. For this reason, Mordesh are, for all intents and purposes, immortal. A pre-Elixir Mordesh could live to an average of 130 to 140 years of age. Based on whatever age your Mordesh was at the time of the outbreak (eighty-eight years ago), add eighty-eight to that. For example, if your Mordesh took the Elixir when he/she was thirty-five years of age, they would be one hundred twenty-three years old. If your Mordesh was a child at the time of the outbreak and received the Vitalus serum, they would still grow to an adult, but the aging process stops between twenty and thirty years. If your Mordesh was elderly, the Everlife Elixir reversed the aging effects, making them youthful and healthy prior to the Contagion setting in. Regeneration of cellular damage and decrepitude resulting from age was initially reversed. “Can Mordesh procreate?” / "If the Mordesh all have the Contagion how do they have children? Or is that a no go?" The Mordesh cannot procreate because of the Contagion. "With the Mordesh, what you see is what you get. As in, they’re not making anymore, at least not the old-fashioned way. This is, understandably, an issue of some concern to many Mordesh, who are working on ways to perhaps clone new members of their species. Unfortunately, all such efforts have met with drastic failure, as their DNA is both highly necrotic and has been altered by both Everlife and Vitalus to the point that creating “true” original-flavor Mordesh may be impossible. 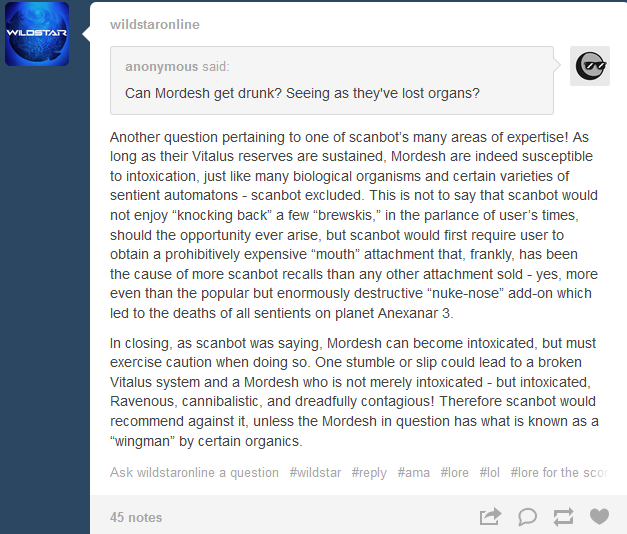 “Can Mordesh get drunk?” / "Does stuff like alcohol still affect Mordesh?" It can still affect them, sometimes strongly. But they can also shake off its effects quickly thanks to Vitalus. That said, some of them can only enjoy it intravenously (you've seen the "glassmouth" face, right?). The Contagion cannot be transferred to other races (currently). The Contagion only affects Mordesh DNA. "How exactly do Mordesh re-fill their Vitalus tanks?" “Did the Mordesh always have sharp teeth or was it a mutation from the Contagion?" “Before the contagion were Mordesh skin and hair still colourful like they are now or were they just the same "natural" tones and colours as humans?" Mostly similar to natural tones found in humans. "Do Mordesh use cosmetics to alter their appearance?" Cosmetics are popular for males and females, allowing them to alter their skin color, hide blemishes and unsightly spots, or alter the color of their hair. "Do all Mordesh have their Vitalus reservoirs at the exact same place, lore-wise, or is it just a gameplay/character creation limit? If it's a lore thing, what's the reason? Could a Mordesh get more reservoirs on his/her body?" "Are there any Mordesh who are NOT infected?" Even though Grismara was on the verge of joining the Dominion, culturally the Mordesh just weren't that interested in space travel before the fall. Their world was so culturally rich and rewarding that few saw the need. Those who did were a few scattered ambassadors, traders, and the like. And because of the Mordesh's strong connection to their fellow Grismarans and their world, most of the offworld Mordesh returned to receive their dose of Lazarin's Everlife Elixir. It is possible there could be an uninfected Mordesh out there somewhere, but if so he or she has yet to rear their heads. If such individuals were exposed to "normal" (i.e., Vitalus-using) Mordesh, they would almost certainly become infected by the Contagion immediately, with little hope of survival. "Being pretty much living corpses... do Mordesh actually smell really bad? If they do, seeing that they're supposed to be kinda vain, do they use tons of perfume?" Mordesh alchemists have got this covered - because you are correct, in their "natural" state (such as it is) they do not smell like anything akin to flowers. Most Mordesh take one of many competing brands of alchemical supplements with their Vitalus that neutralizes problem odors and allows them to feel and smell relatively fresh all day long. More traditional perfumes are often added to balance the bouquet, but are not strong enough to do the job alone. "How long was it between the start of the Contagion and when the exiles managed to smuggle them from Grismara through the Dominion barricade?" Very important. "After joining the Exiles, Victor Lazarin's efforts were critical in curing several epidemics throughout the fleet, helping the Mordesh gain acceptance." In a calm state, Mordesh vocal texture is smooth, smoky, and almost haunted. When emotional, their voices become raspy whispers rather than shouts or roars. They can make the most mundane words sound darkly poetic and lyrical, filled with stylish and creepy death metaphors. Alliteration in Mordesh speech is a common affectation. The Black Hoods are the covert intelligence organization that protects the Exiles from Dominion spires and assassins. Led by the secretive Mordesh, the Black Hoods are very good at inserting their agents into hostile territories in order to keep tabs on their enemies. Mordesh family names are ancient and illustrious, while their first names--like the names of Cassians--are often passed down from generation to generation. The Mordesh often end both male and female first names with vowels, though the -a ending is more common among females, as in Inga and Varia and -o and -i are more common among males, as in Lazlo and Uri. Many Mordesh use a title related to their field of scientific or intelligence expertise, and may prefer using it in place of a first name in many cases - a Mordesh doctor named Ilich Pavarin might prefer to go by Doctor Pavarin, for example. Other titles could be; "Viralist", "Alchemist", "Nurse", "Professor" etc. Mordesh Reapers have the grisly task of hunting down and killing any of their brethren who have succumbed to the Contagion. Reapers are also responsible for safely disposing the infected which usually involves burning them or dowsing them in acid. The most experienced Reapers aspire to the rank of Harrower. Harrowers, who oversee the operations of several squads, are only called in during the most dangerous outbreaks of the Contagion. A collection of two or more squads under the command of a Harrower is referred to collectively as a “Shroud.” In other Reaper parlance, any operation against hostile Ravenous is referred to as a “Harvest,” which is further identified by a code name (for example, “Blue Harvest”). Likewise, an operation where Mordesh who have not yet become Ravenous are euthanized is referred to as a “Culling,” no matter the size. "What is the Mordesh view on Shades Eve, do they celebrate their own version of it?" Although it's spread to many cultures thanks to the power of the Dominion and the centrality of humans to the Empire, it is still considered a Cassian-human-centered holiday even by those non-humans who celebrate it. The Mordesh have their own holiday observances. They tend to find the story of the Shades plague and the Angel to be a quaint children's story. "What would be considered 'crossing the line' when it comes to ethics, for a Mordesh?" It's hard to say without some idea what you're thinking of. They generally don't work on unwilling test subjects, and those who do are not welcome within alchemist circles. On the other hand, if there was a chance to restore the Mordesh to full life - life capable of creating more life and giving their people a second chance - almost any Mordesh would do some questionable thing to make that happen. "Can augmentation stave off the effects of the Contagion? Would a Mordesh still need the Vitalus Serum?" 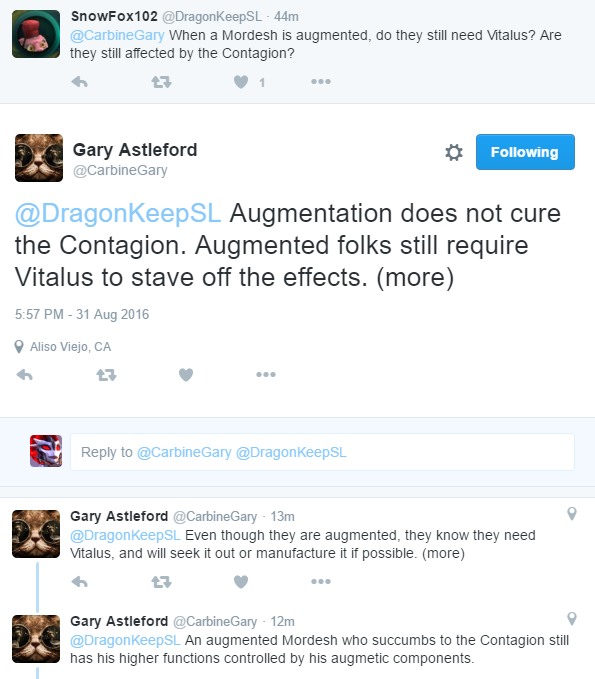 According to Gary, augmentation does NOT cure the Contagion. Augmented Mordesh still require the Vitalus to stave off the effects of the disease. Even if they are augmented, they will still need the Vitalus Serum. An augmented Mordesh who succumbs to the Contagion still has their higher functions controlled by his augmetic components. Disclaimer: For all intent and purposes, headcanon is considered 'player-created or interpreted pieces of lore' for the gaps and unknowns until stated otherwise by Carbine. Headcanons may vary from roleplayer to roleplayer, and such may be left to the interpretation of others. Headcanons are not considered canonical, so please use the offered information for individual purposes as needed. All discussion regarding headcanon should be redirected to the Big Headcanon thread. If you would like to have your headcanon featured here, please message me with a link to your accessible headcanon post or thread. May 19th - Added Reapers under FAQ. June 27th - Added Mordesh/Alcohol lore under FAQ. 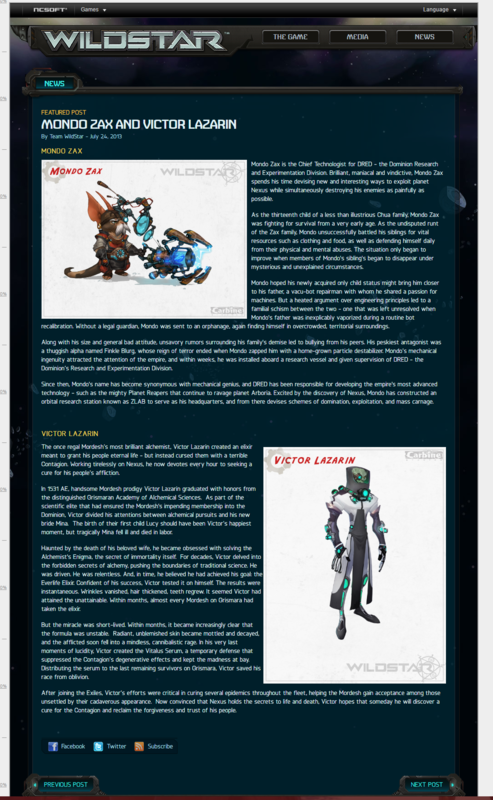 July 8th - Added pre-Contagion aesthetic question and new Vitalus lore under FAQ. July 14th - Added new Vitalus lore under Everlife Elixir, The Contagion, and Vitalus Serum section. 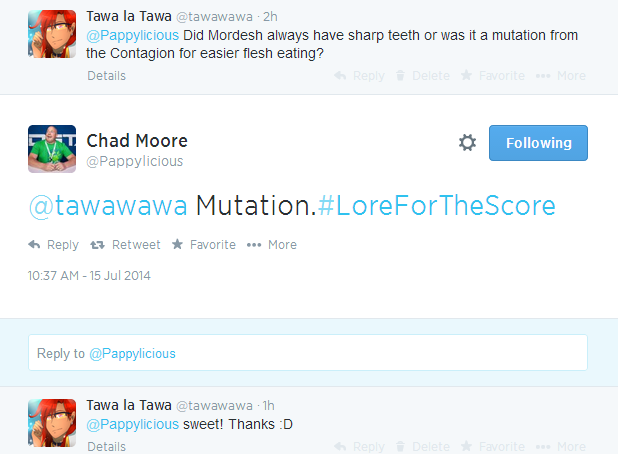 July 15th - Added lore on Mordesh teeth under FAQ. 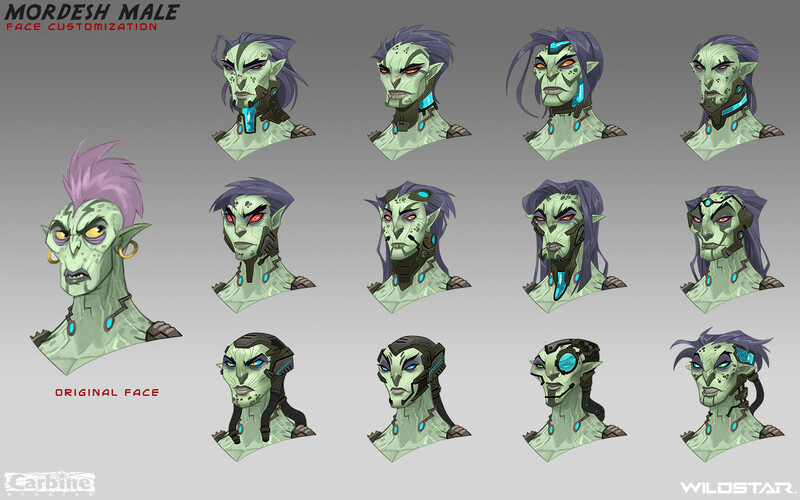 Sept. 9th - Added lore on pre-Contagion Mordesh skin tones. Oct. 8th - Updated FAQ on Mordesh Naming Conventions. Nov. 11th - Tons of updates and edits throughout in accordance with Loremageddon. Mar. 3rd - Corrected timeline from 1578 to 1579. Included the Fall of Grismara story. May 7th - Added lore on Grismara's Moons; added Mordesh Music to FAQ. Oct. 4th - Added lore on pre-Contagion architecture and politics to FAQ. Oct. 8th - Added Content Compendium to the top post. Oct. 11th - Updated time-line lore; completely revamped and updated the FAQ. Mar. 3rd - Added lore for prisoners and reapers. Aug. 31st - Added for for augmented Mordesh. Sept. 22nd - Added Headcanon and Contributors sections. Mar. 10th - Fixed broken Source links, added previously released concept art. Mar. 27th - Edited FAQ question for continuity with time-line. June 10th - Added new lore entries from Reddit and Twitter. The above is a collection of Mordesh Lore as given by Carbine. The purpose of this thread is to provide as much information based on what we have discovered or what has been given us. If there is something missing or incomplete, please let me know and I will edit the context. Contributors are always welcome but must be able to provide a source for citation. https://dl.dropboxusercontent.com/u/64089748/Mordesh%20Lore.jpg . Trying to get an RP storyline going for them, nobody interested as of yet, but still some useful lore. Oh, very excellent. I knew I was missing these guys. I will add this to the FAQ section very soon. Thank you! Excellent. ^^ Well structured and informative. .. Kinda makes me wish I knew how to draw/use photoshop, though. That banner is ftw btw. Did you make that Pyra? I used the Carbine artwork mixed with some fancy Photoshop skills to make the banner.